Sterling and Wilson Solar, a solar engineering company promoted by Shapoorji Pallonji Group, has filed a Draft Red Herring Prospectus (DRHP) with capital markets regulator Sebi to raise about Rs 4,500 crore through an initial public offer (IPO). According to the document filed with Sebi, the IPO will be an offer for sale by the company's chairman Khurshed Yazdi Daruvala and Shapoorji Pallonji and Company. As of now, Shapoorji Pallonji and Co. holds 65.77 per cent stake in the company, Khurshed Yazdi Daruvala holds 33.33 per cent, while the rest is owned by Cyrus Mistry and other members of the promoter group. Sterling and Wilson Solar plans to list its shares on the domestic bourses Bombay Stock Exchange (BSE) and National Stock Exchange (NSE). The company started its operations in 2011 as the Solar Engineering, Procurement and Construction (EPC) division of Sterling and Wilson Private Limited (SWPL) and was demerged into a separate entity called Sterling and Wilson Solar Limited in April 2017. 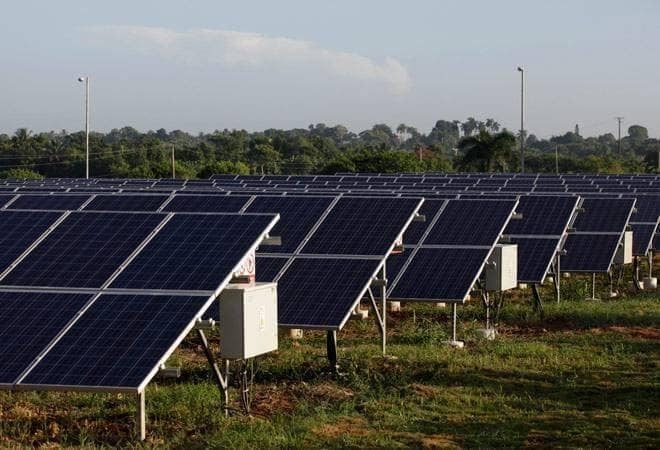 The global end-to-end solar EPC solutions provider reported a 98 per cent growth in its net profit at Rs 343 crore in the first nine months of 2018-19, while revenue rose 83 per cent to Rs 5,915 crore. As of December 31, 2018, the company's order book stood at Rs 4,309.09 crore, while it had 183 commissioned and contracted solar power projects with a total capacity of 6,062.83 megawatt (MW).